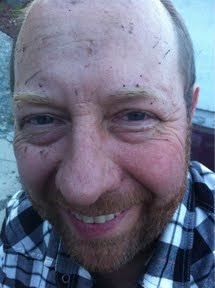 My husbands face after cleaning out the trailer! Jesus, clean me, wash me, make me whiter than snow. Say That Again, whiter than snow!